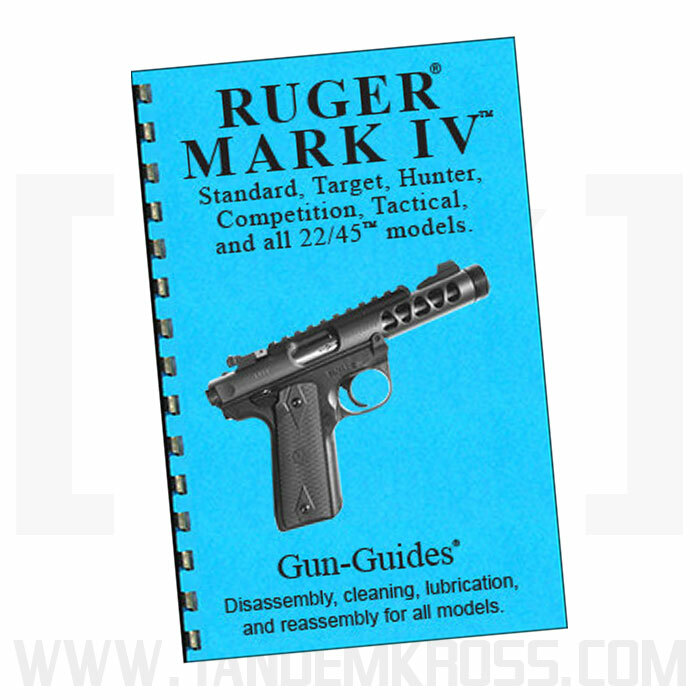 Get the best Ruger® MKIV™ owner's manual with MKIV™ reassembly instructions from Gun-Guide. 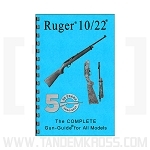 Don’t waste time trying to figure out the best way to disassemble and reassemble your Ruger® MKIV™ or MKIV™ 22/45™! 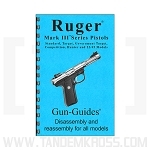 With the well-known Gun-Guide® for Ruger® MKIV™ Series .22 Pistols you can make firearms maintenance and care easy. 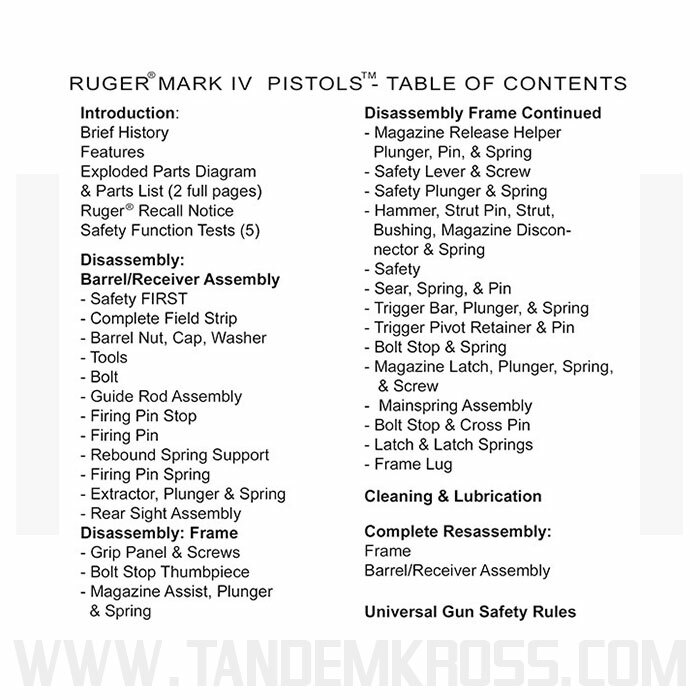 The Ruger® MKIV™ Gun-Guide® includes 26 pages of disassembly and reassembly instructions with 69 high-resolution images and includes specific instructions for Ruger® MKIV™ Standard, Target, Hunter, Tactical, Competition and 22/45™ Models. 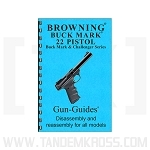 The easy-to-use guide features comb binding to lie flat on any work surface - great for reference while working on your gun. 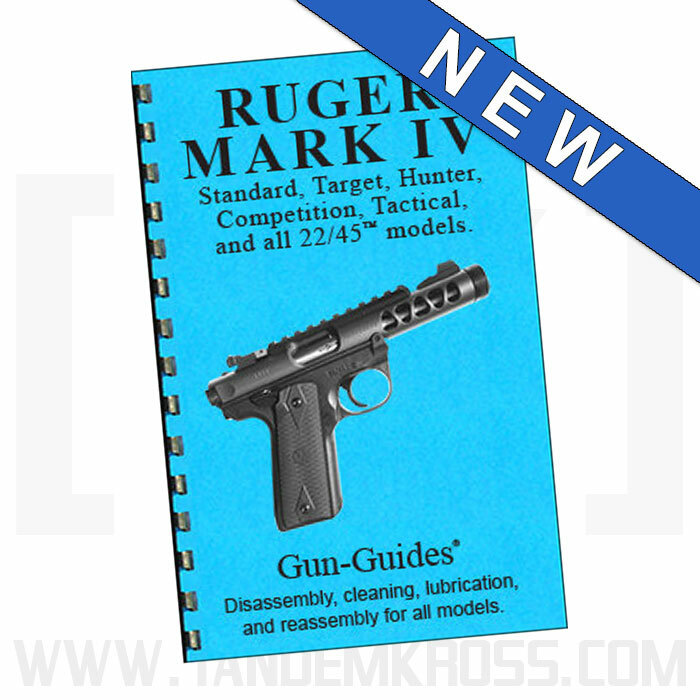 Improve your Ruger® MKIV™ care with Gun-Guide®! 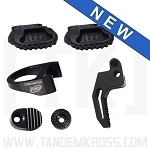 Improve your Ruger® MKIV™ pistol care, keep your gun running at its best and make installing Ruger® MKIV™ upgrades easier with a strong understanding of the inner workings of your firearm. 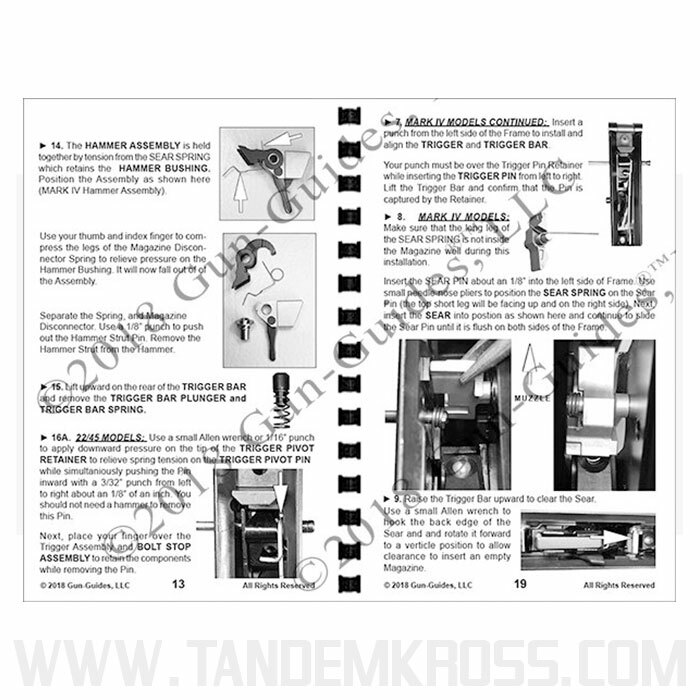 This booklet tells you everything you need to know and do from general maintenance to a complete disassembly. It has ample pictures, but I think they could be a little brighter and clearer; still very usable, though. A nice reference to have around. Excellent book just buy it!! 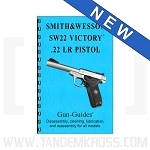 Love this little book tells you all about your Ruger 22/45 light.shows you how to break down your pistol or how to just clean it. A must have reference for any serious Mark IV enthusiast. Well worth the price. This has a lot more detail than the book that comes with the MKIV, with very good, close up pictures. Well worth the price.